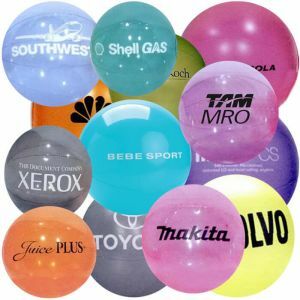 Customized 12 inch Beachballs with your Personalized Logo at Wholesale Prices. 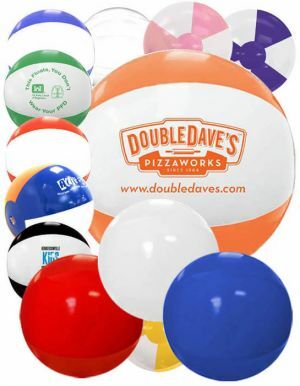 Promotional 12" beachballs makes for perfect beach and outdoor fun. 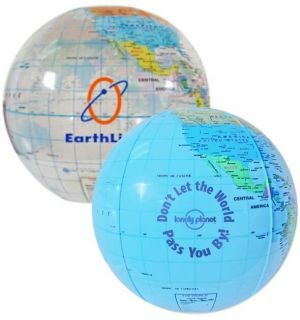 12" custom beachballs when fully inflated measures approximately 7.7" in diameter, or 12" on the arc from the top pole of the beachball to the bottom pole of the printed beachball. Promotion Choice's fast production times, quality branded beachballs, tip-top quality imprints, and superb customer service makes us the primier company amongst customers for ordering wholesale personalized beachballs. Our customizable 12" beachballs are good, clean, healthy fun for children and even adults. These inflated printed beachalls bring good cheer, joy, and fun to your clients as you see them having a ball batting them back and forth with each other at your events. Your customers will surely appreciate these great giveaways and will certainly keep them for the next time they head out to the park or the beach. Our customers do not consist of only big corporations with big marketing events. We have others who love purchasing these customized beachballs for personal consumption. Some good examples are proud parents who get these for a celebratory party for their kids graduation events, or big birthday bashes, or creative bachelorette or bachelor parties. 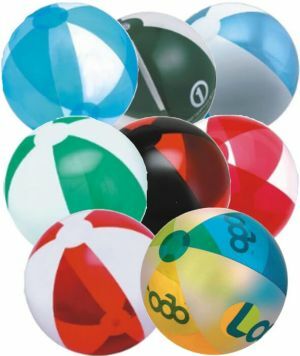 There are always a number of ways where you can use these imprinted beachballs to make any event or party you might have coming up into wonderful and memorable times! As mentioned above, Promotion Choice's custom 12" beachballs have low set-up prices and quick turnaround times. If you have a rush event coming up - don't stress! Call us, and we, as always, will do all we can to deliver them to you in time to make your event a wonderful success. Just call our expert customer service telephone number, and we will be glad to assist you with your order. Order these campaign beachballs today.